"This is, hands down, the best training guide I've used to learn Adobe software." Adobe Creative Cloud Design Tools Digital Classroom 2018 Edition is like having a personal instructor guiding you through each lesson, while you work at your own pace. 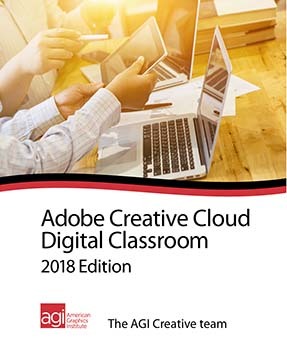 This Creative Cloud book is fully updated for Adobe CC 2018 and includes more than 20 self-paced lessons helping you learn essential skills and explore new features and capabilities of the Creative Cloud applications.